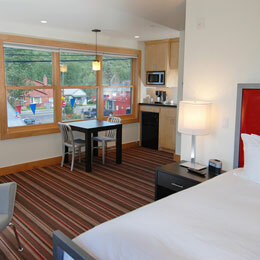 Hotel Minturn is a boutique hotel located in Minturn, Colorado, the historic town of the Vail Valley. 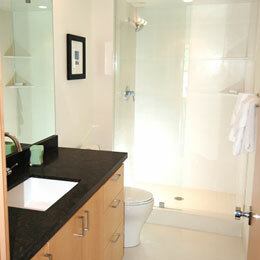 Minturn is ideally situated between Vail and Beaver Creek, just five miles to either resort. The downtown location of Hotel Minturn is a short walk to the Minturn Mile ski trail and just steps to all the restaurants and shops. 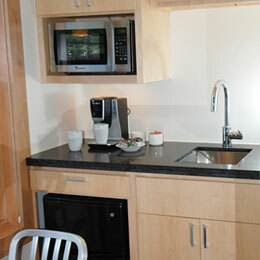 The rooms of Hotel Minturn are furnished in a clean, contemporary style with high-end finishes, fine linens and modern amenities. 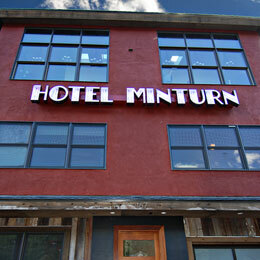 Hotel Minturn opened in the summer of 2011 and was acquired in April 2013 by Marco and Amy Tonazzi. Marco and Amy also own Valbruna, a clothing store in Vail, and Mangiare, an Italian Food Market in Minturn, and a hotel in northeastern Italy, the Valbruna Inn. The Inn is located in the heart of the Alps and it is rated 5-heart for its exclusive hospitality and dedication to details. Marco and Amy are thrilled to be offering 5-heart hospitality to all passionate travelers here in Colorado, welcome to Hotel Minturn! 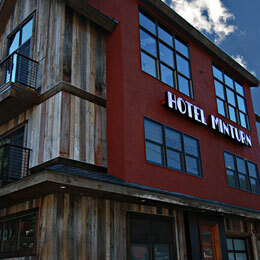 The Vail Valley Partnership Lodging Quality Assurance Program just recently awarded Hotel Minturn a Platinum rating of 94%.